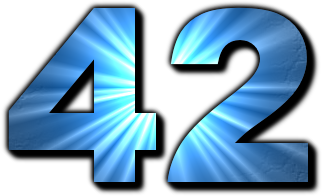 So you may get doubt why this answer appears as 42 ? What is the story behind it? The Hitchhiker’s Guide to the Galaxy is a comic science fiction series, which has become popular among sci-fi and computer enthusiasts. In the first novel and radio series, a group of hyper-intelligent pan-dimensional beings demand to learn the Answer to the Ultimate Question of Life, the Universe, and Everything from the supercomputer, Deep Thought, specially built for this purpose. It takes Deep Thought 7½ million years to compute and check the answer, which turns out to be 42. What is the Keyboard Shortcut to Merge Cells in MS Excel?